Since I’m on a bit of a Silent Hobo run at the moment, I thought I’d post one of his works which can be found in the heart of St Pauls, and celebrates the St Pauls Carnival. Even in a contemporary setting his pieces have an element of mysticism about them. There is a small enclave of street art in Cotham, centered around the Highbury Vaults pub. I have already featured two works in the area, one by Nick Walker, and the other by Unify. This is the third piece to be found here, and one that somehow passed me by until recently. Perhaps this is because it is so seamlessly blends in with the shop that it adorns. This mural is a trademark Inkie. It reminds me very much of the styling used for Biba – maybe it is the black and gold thing going on. As I have said before, the turnover of work on this ‘practice wall’ in Stokes Croft is quite phenomenal. 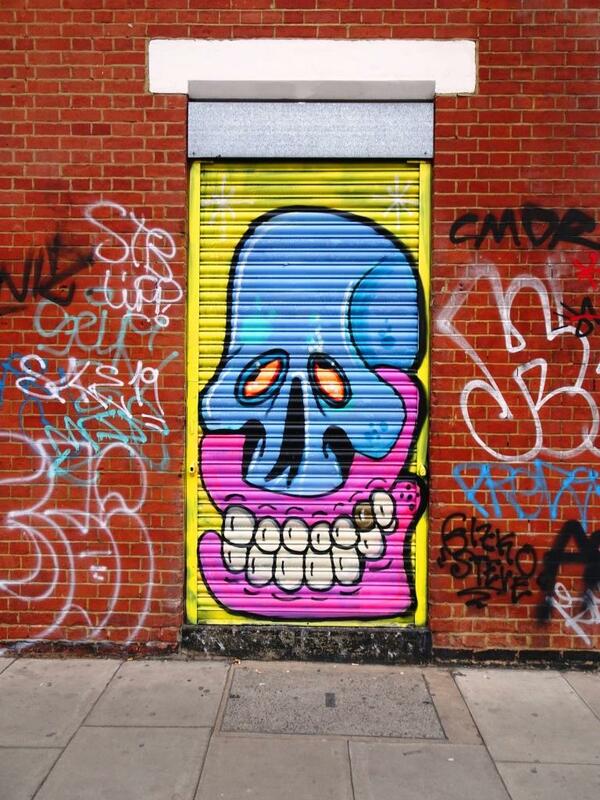 This new piece by Silent Hobo has appeared during the Christmas break. It will be gone soon. You can find out more about Silent Hobo on his website, but what I really like is that he still sprays on the streets of Bristol, not always legally, even though he has a successful commercial outfit. This is one of several tributes to Mibzy (Mibsy) (King of paint) that can be found in Bristol. More about Mibzy here. This ‘burner’ (straightforward lettering or word) is attributed to Bristol artist Deamze, although I am having difficulty confirming it. It has been slapped up on a derelict shop front. Looking at earlier photographs of this tribute on the Interweb, shows just how rapidly this building is crumbling. A forgotten side street, but Mibzy is not forgotten.